Choose any two values that you know, from the list, enter your known information and press Calculate to get the other 3 values. The 90º corner is constant. 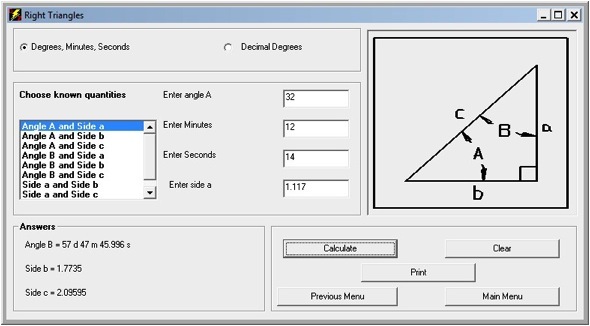 You can enter your angle in decimals degrees or degrees, minutes, seconds.